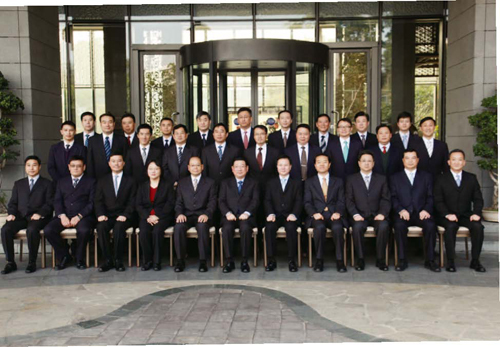 Commissioner Tsang Wai-hung (front row, fifth from left) leads a delegation to attend the 21st Bilateral Meeting since Reunification between Mainland Public Security Authorities and Hong Kong Police Force in Shenzhen. The Vice Minister of Public Security, Mr Chen Zhimin (front row, centre), heads the Mainland delegation. During the meeting, participants discuss matters of mutual concern. 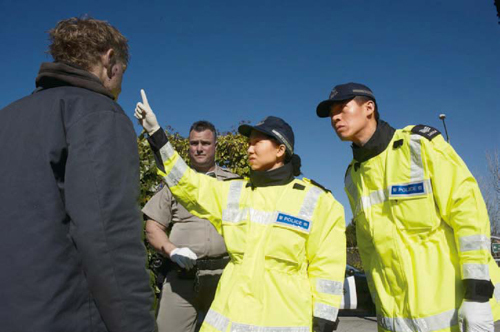 Two Traffic Branch officers attend an advanced drug recognition training course in California, the United States. They are accredited as Drug Recognition Experts by the International Association of Chiefs of Police, further boosting the ForceÕs credibility in the fight against drug driving through its adoption of the impairment test regime. 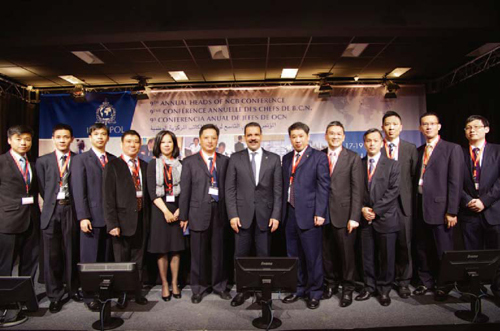 As members of the delegation from National Central Bureau (NCB) China, officers from Liaison Bureau attend the 9th INTERPOL Annual Heads of NCB Conference in Lyon, France. 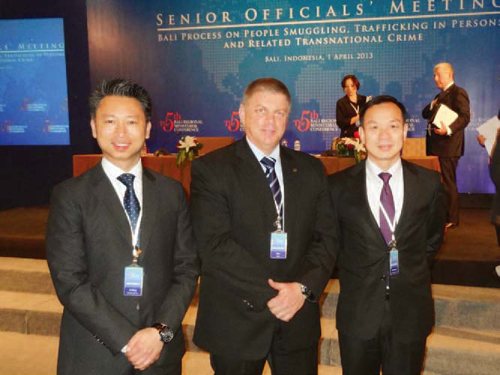 The Deputy Director of INTERPOL Division, NCB China, Mr Jiang Haifeng (sixth from right), leads the delegation. The themes of the conference include terrorist attacks and cyber crime. 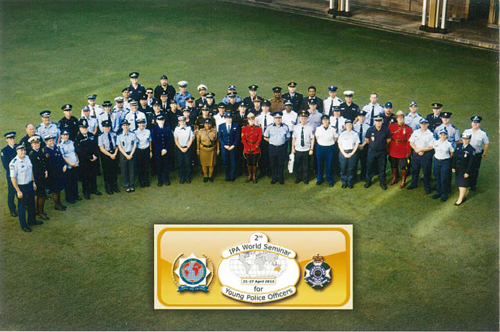 Two officers attend the 2nd International Police Association (IPA) World Seminar for Young Police Officers organised by IPA in Australia. More than 60 police officers from 30 countries and regions participate in the seminar to discuss topics such as different types of cyber crimes, child abuse, and emergency response and disaster preparedness. Organized Crime and Triad Bureau officers attend an international forum held in Bali, Indonesia to strengthen co-operation and networking with overseas counterparts. Representatives from 48 member countries, regions and international organisations take part in the forum to discuss trends in human smuggling and trafficking, as well as the way forward. 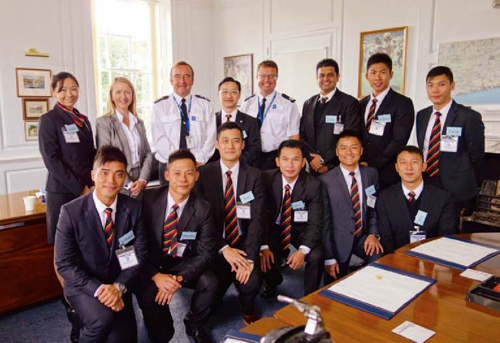 A Force delegation visits Sussex Police Force in the United Kingdom to study community policing. Both parties share policing work and experience. Sussex Police officers introduce their methods to engage the community, their strategies and initiatives to handle ethnic minorities, and the role of their Police Community Support Officers. The Commercial Crime Bureau and the French National Police jointly host E-Crimes Without Borders Ð E-Crimes Sans Frontires at Police Headquarters to tap expertise from Europe and the Asia-Pacific regions and present knowledge in a global context. Law enforcement, technology and telecommunications experts as well as prosecutors from 19 countries and regions discuss the challenges posed by criminal activities in cyberspace throughout the world and the subsequent laundering of the proceeds. 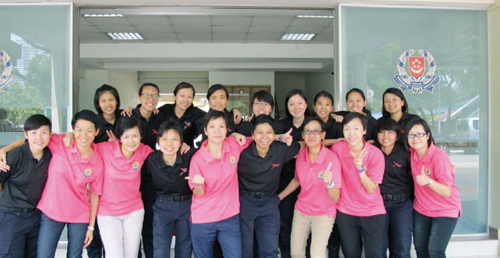 A delegation of six woman officers of Tango Company pays their first visit to the Special Woman Task Team (SWTT) of the Singapore Police Force. SWTT plays a similar role as Tango, comprising female officers who deal with protests and demonstrations involving women and children. The delegation also takes part in SWTT officersÕ annual re-certification training. 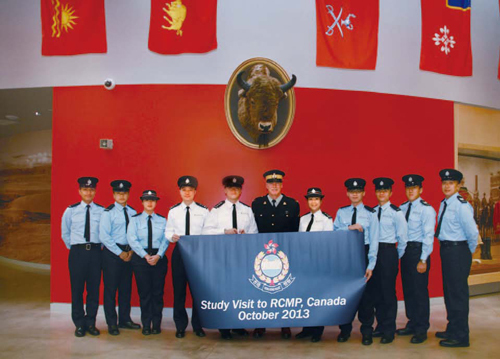 A Force delegation visits the Depot Division of the Royal Canadian Mounted Police (RCMP) to study domestic and family violence, aboriginal communities policing, and youth issues. The delegation also observes how RCMP engages the aboriginal community to reduce crimes. 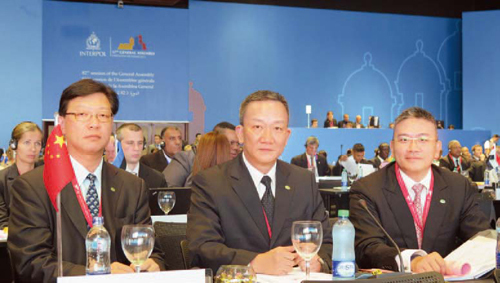 Director of Crime and Security Lo Mung-hung (centre) leads a three-member delegation to attend the 82nd INTERPOL General Assembly as members of the Chinese delegation in Cartagena de Indias, Columbia, where major strategic initiatives and anti-crime operations are discussed. The Force and the Columbian National Police also meet to explore methods to expedite exchange of criminal information and intelligence in order to deal with the challenges raised by drug and human trafficking. INTERPOL and the Technology Crime Division of Commercial Crime Bureau co-host the 7th INTERPOL Train-the-Trainer Workshop on Computer Forensics for Asia and South Pacific at Police Headquarters. 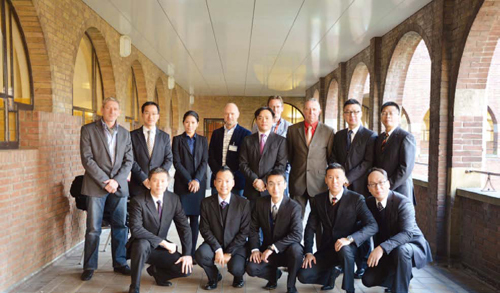 An intensive training programme is provided for a total of 21 trainees from Bhutan, Japan, Bahrain, Malaysia, Oman, Thailand, Indonesia, Macao and Hong Kong to help them acquire the qualification of INTERPOL Certified Trainer. A Force delegation pays a study visit to the Police Academy of the Netherlands for a comparative study on crime investigation training. They also visit Regional Police Headquarters at Apeldoorn in East Netherlands to understand more about the operations of their Command and Control Centre and Custody Management.